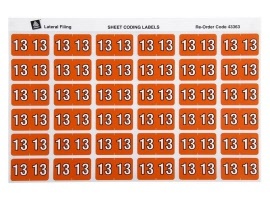 Easily identify your files by using numeric year side tab colour coding labels. Each year e.g. '13' is given a different colour for easy identification. 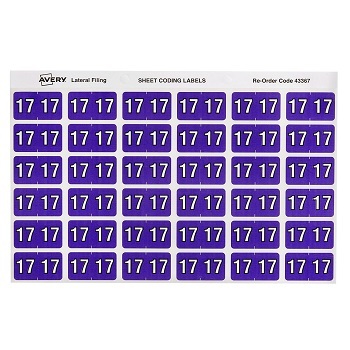 Year '17' colour coding labels for your lateral files. 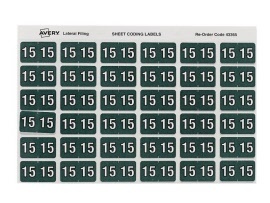 Apply to the side of your files. 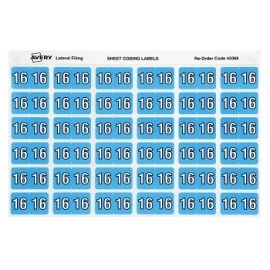 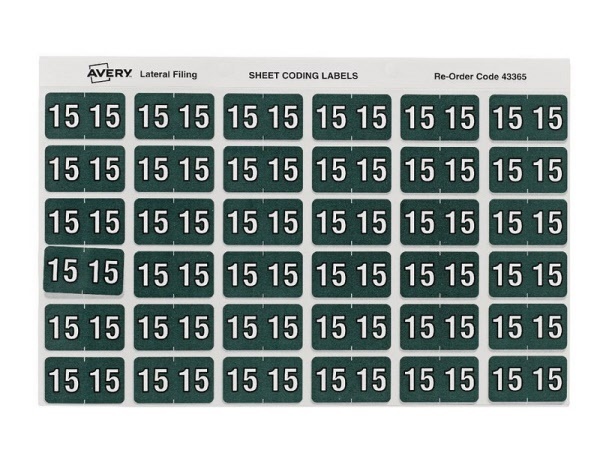 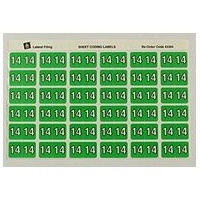 Dispenser Pack of 500 labels. 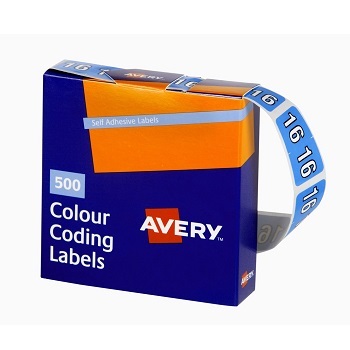 Year '16' colour coding labels for your lateral files. Year '15' colour coding labels for your lateral files. Year '14' colour coding labels for your lateral files. Year '13' colour coding labels for your lateral files. 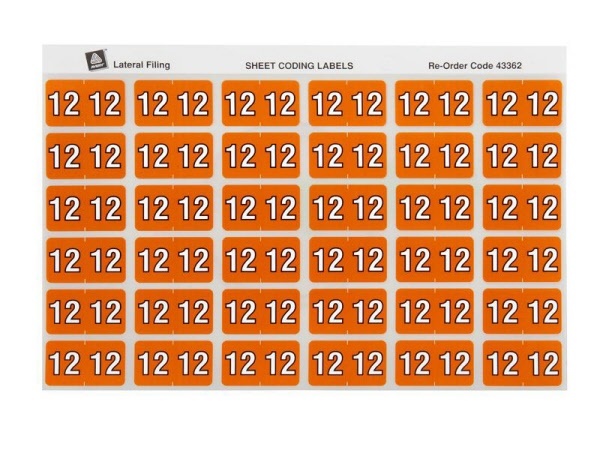 Year '12' colour coding labels for your lateral files.